FIANNA FAIL TD Mary O’Rourke has conceded that she will lose her Dáil seat. O’Rourke has polled just over 3,000 first preference votes in her constituency of Longford-Westmeath. She says she will now retire to write a book and spend time with her grandchildren, according to Paul Hughes from the Westmeath Examiner. Labour’s Willie Penrose looks set to top the poll with Fine Gael looking on course to take three seats with James Bannon, Nicky McFadden, and Peter Bourke all polling well. O’Rourke is currently a few hundred votes behind former party colleague Kevin ‘Boxer’ Moran who ran as an independent. Her nephew Conor Lenihan has already conceded defeat in Dublin South West whilst her other nephew Brian Lenihan has held on in Dublin West. 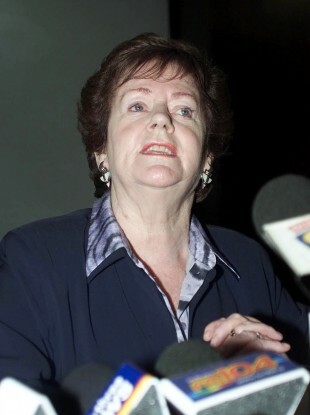 Email “Mary O’Rourke will retire to write a book and spend time with her grandchildren”. Feedback on “Mary O’Rourke will retire to write a book and spend time with her grandchildren”.